DDT College of Medicine is committed to being a national leader in advancing human health through the integration of patient care, research, education, and community service. The core values embraced by the college’s programs’ faculty include honesty, integrity, self-motivation, flexibility, lifelong learning, reflective practice, teamwork, and primary concern for the patient’s welfare. In line with these ideals, DDT College is introducing the 4-year Bachelor of Doctor Assistance (BDA) Program which envisages educating Doctor Assistants who will provide excellent health care to individuals and communities in a broad range of settings. Bachelor of Doctor Assistance (BDA) is a 4-year professional science qualification in medical sciences designed to enable the graduate to assist and perform many medical doctors’ duties. It comprises of 2 phases: a 2-year didactic phase followed by another 2-year clinical attachment/ experiential phase that would enable the student to graduate as a competent clinician able to provide medical care on diverse cases and circumstances. It completes with one internship year post graduation. Doctors and their services are in short supply in Botswana, the SADC region and the world. They are sought after and tend to go for ‘greener pastures’. Though Africa is the most affected by this brain drain, it is a problem for the developed world as well. Many countries in Africa (RSA, Tanzania, Uganda etc) and others around the world (Netherlands, USA, UK etc) have introduced a mid-level cadre to cover for this shortage of doctors and have proven useful in assisting their health systems. Botswana, as evidence indicates, would also benefit from this mid-level cadre of Doctor Assistants. Doctor Assistants fill the gap of shortage of medical doctors by doing many of the doctors’ duties that are greatly needed by the Botswana health system and the region. They will act to relieve other health cadres especially the nursing profession who have had, in addition to doing their own professional nursing duties, to cover for duties of other cadres that are not available or in shortage around the country. The Doctor Assistance graduates will be valuable for all levels of health care from primary to tertiary; able to man the health posts, the clinics and hospitals. Expected outcomes for the BDA program are clearly delineated in the course descriptions’ framework to enable valid assessment. Each course has measurable student learning outcomes that are used to test the student competencies. There is as well the students log book that states the number of cases, procedures and interventions as required competencies for graduation. These are signed off by their clinical supervisors who see them do the competencies and are also signed off by their department heads for validity. The theory and practical examinations also objectively test the students on the expected competencies rendering as valid the outcome assessments. •	Follow up patients’ response to treatment and refer patients for further management if need arises. Doctor Assistants’ duties as described in the rationale are highly consistent with this mission. Doctor Assistance program will fill the big gap of insufficient doctor personnel. Doctor Assistants will be part of a team of health care workers in the community clinics and hospitals with pharmacists, doctors, nurses and social workers. They, Doctor Assistants, would be able to specialize in an area of medicine (along the DA stream) of their liking such as pediatrics, gynecology, surgery etc at Masters level. Doctors are expensive to train and hard to keep as greener pastures are always available globally. Doctor Assistants, a mid level cadre for doctors, will help alleviate this need at all levels being national, regional (SADC region) and international. This cadre has received wide acceptance across the world among African countries (RSA, Tanzania, Uganda, Malawi etc), European countries (UK, Netherlands), Americas (USA, Canada) and Australia. These are places that are potential employers for this cadre. The program provides opportunities for DA graduates to specialize in areas of medicine including pediatrics, obstetrics and gynecology, surgery, psychiatry at Masters level. The program consists of 2 years of didactic and 2 years of practical attachment. The expected competencies are going to be realized also by this extensive practical component that will be enabling graduates to be competent clinicians at graduation. Further consolidation of skills learnt and clinical competence is further strengthened by a 1 year of internship post-graduation. 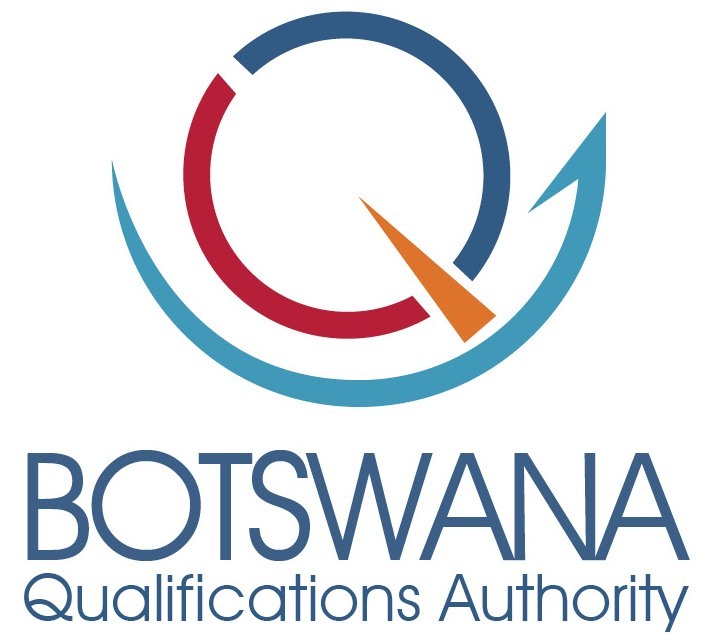 The job opportunities are not only available in Botswana as pledged by MoH to absorb them, but also regionally and internationally as they are generally in short supply. the 4 year curriculum of the BDA Program is a 12 trimester (138 credits) Bachelor’s degree program. It is divided into a 6 trimester didactic phase (2 chronological calendar years with 3 trimesters per calendar year) and a 6 trimester clinical phase of instruction (2 chronological calendar years with 3 trimesters per calendar year).By the end of the didactic phase, a successful student will have completed several courses and earned 90 trimester credits. On average for each credit a course is worth, it is equivalent to each hour a week a course meets. For example, a 4 credit course usually meets between 3 and 4 hours each week. By the end of the clinical/clerkship phase of the curriculum, a successful student will have completed several courses and earned 48 trimester credits. During clinical phase, for each credit a course is worth, it is equivalent to 2 weeks (80 hours excluding weekends) of rotation. For example, a 4 credit clinical rotation is usually achieved in about 8 weeks (320hours). Post-graduation, the DA graduate is required to do 1 year of internship. •	Develop within each student a strong foundation in the basic and clinical sciences of medicine appropriate to the delivery of quality illness prevention and disease management services in a wide variety of practice settings. •	Engender advocacy for the needs of underserved populations (hard to reach areas) with no doctors or doctor assistants of medical care through early clinical exposures to patients and community partnerships designed to facilitate service learning by our DA students. •	Foster within our Doctor Assistants the humanistic and interpersonal qualities essential to understanding lifestyle and social forces as major determinants of morbidity and mortality. •	Facilitate active learning and independent judgment about disease prognosis, diagnostic testing, and disease management using skills of critical appraisal. •	Prepare the next generation of faculty with the knowledge and research skills requisite to moving DA education well into the future. •	Provide leadership in the arena of student performance and competency documentation through an active program of health services research and information management. •	Understands the role of information technology in the provision, tracking and evaluation of services provided in the clinical setting. Faculty members teaching in the DA Program are also committed to producing a DA who demonstrates essential attributes of cultural competence, intelligence, sound clinical judgment, honesty, the ability to relate to people, and the capacity to react to emergency situations in an appropriately calm and reasoned manner.